With deep sadness, Lafayette College announces the passing of Bryan Washington, associate professor emeritus of English, after an 18 month struggle with cancer. Hired in 1989 by the English Department as a specialist in American modernism and African-American literature, Washington received his B.A. from University of Pennsylvania, a B.A./M.A. from Oxford University, and a Ph.D. from Harvard University. He was a Ford Foundation Fellow and the recipient of two Student Government Superior Teaching Awards. His book, The Politics of Exile (1995) was well-received and frequently cited. 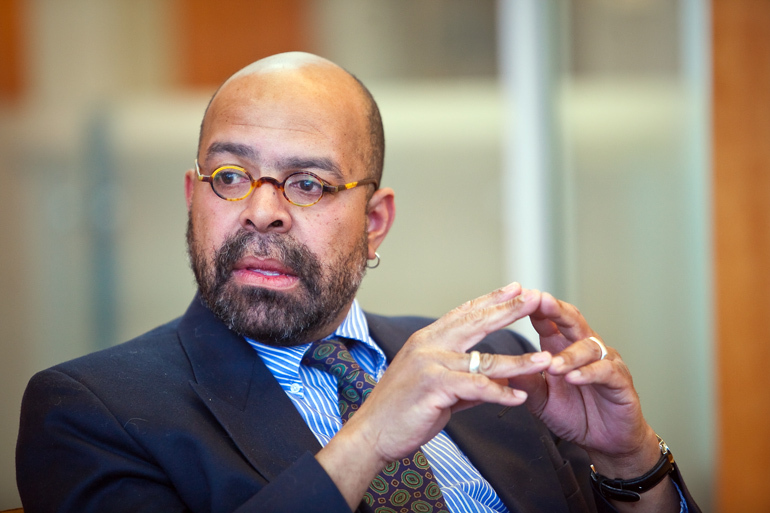 An eloquent spokesperson for diversity issues–as evidenced by his chairmanship of the Diversity and Student Life Committees–Washington was best known as a professor of prodigious talent. Students found him deeply knowledgeable, challenging, and inspiring. His intelligence, wit, and vivid presence will be missed by all. A memorial for Washington, sponsored by friends and family, will be held 4 p.m. Friday, Jan. 29 at Buckingham Friends School, 5684 York Road, Lahaska, Pa. 18931. In lieu of flowers, a contribution can be made to the Abramson Cancer Center of the University of Pennsylvania’s Annual Fund, attention Penn Medicine Development (3535 Market Street, Suite 750, Philadelphia, PA 19104) or online at www.cancer.pennmedicine.org. A campus memorial service is being planned for March. Professor Washington is the reason you go to schools like Lafayette, he challenged his students to be forward thinkers! There are graduates out there that are better human beings because of him.